If you are looking for a reliable and local garage door repair service, we have some good news for you! 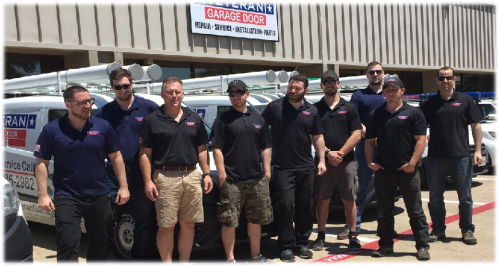 Veteran Garage Door’s repair services are available in Richardson, TX, we are here for all your garage door needs, and would be happy to be of service. You don’t need to worry about your garage door anymore. Veteran Garage Door’s repair services provide you with all kinds of solutions to any problem that may occur. Our goal is to give you the best service, delivered by the most professional and qualified technicians. We have an entire fleet of service vehicles equipped with all the tools and parts our teams might need when fixing your garage door. Once you contact our company, you can rest assured that we will be there to examine and fix your garage door on the same day, and as fast as possible. We regard being available and providing our customers in Richardson, TX with the best and most professional service as our duty. Our comprehensive service includes free onsite estimates, a warranty on all parts, labor and installation and professional advice when necessary. Our company is willing to be there for all your garage door needs, residential or commercial. Our team’s ambition is to make your garage door work properly, without a hassle, and for the longest term possible. If you live in Richardson, TX and you need any kind of work done on your garage door, contact us at Veteran Garage Door right now.